It is happening. The beginning of a turnaround. The Washington Wizards played a very dominant game against the Cleveland Cavaliers and massacred them 119-95. The Wizards have now won three in a row and are starting to play like the dominant Wizards we know of. He did and he also did not. John did have an off game as he only had eight points and shot 3-10 from the field. However, he was able to impact the team in other ways. One way was that he had nine assists and helped set up many players for open shots. Another way he helped impact the game was that he had two steals that led to transition buckets. He also blocked Colin Sexton, giving Sexton his first “Welcome to the NBA” moment. Finally. Wizards fans have been waiting for a bench like this and now they are starting to get one. The production off the bench showed how dominant it was. Austin Rivers was the only bench player in double figures but the points were spread out evenly. Jeff Green and Kelly Oubre both had eight points, Thomas Bryant was even on the action, adding six points in only four minutes of play. Ian Mahimni also added nine points. Speaking of Ian. Ian Mahimni is lights out from three? At least it looks that way. Mahimni made his first three-point field goal in his NBA career and looked good for a change. He was +24 on the plus-minus report and managed not to get into foul trouble. Ian also added seven rebounds and shot 2-3 from the field and 4-6 from the line. If this is the Ian Mahimni that we are going to see for the rest of the season, then I am all for it. After all of the struggles he has had to deal with early on, Otto finally looked like his old self tonight. He had 15 points and shot 7-11 from the field. All of his points mainly came early on in the first quarter but his scoring output helped set the tone. While he still is not worth the money, we can all admit that Otto Porter’s main problem was the lack of dog in him and not the lack of coaching scheme. Speaking of the playcalling, it looked like John Wall was giving every player equal opportunities on the court. Otto shot the ball 11 times which is also very good to see as he does not get the ball very often. If Otto Porter can take 10 shots a game and make seven of them, I am good with that. He needs to continue being a consistent shooter like he was tonight. This is the most important takeaway in my opinion. I know that this win was against one of the worst teams in the league but the Wizards have played their share of bad teams this season and it didn’t look like this. 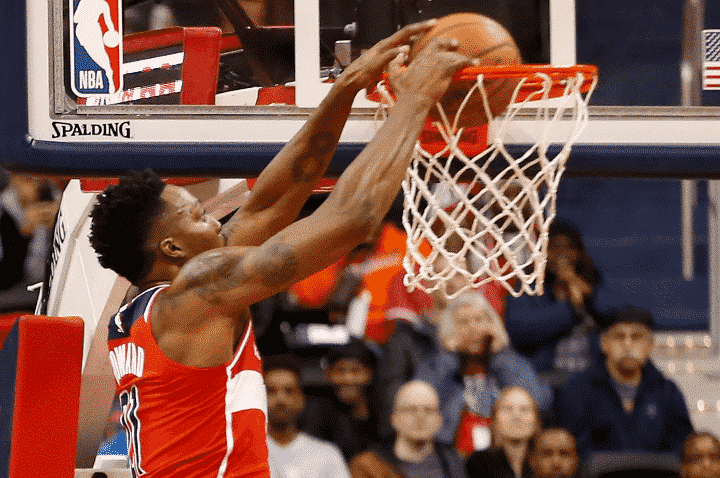 The Wizards finished with a season-high 30 assists and a season-high 17 steals, showing the kind of teamwork and energy they’ll need to get back into the playoff picture. Hopefully future games are as dominant as this one was. Beal made his 900th three in a game and in doing so, passed J.R. Smith as the youngest player in the NBA to hit that milestone. Overall, it was a great win. Definitely the most complete game the Wizards have played so far and their defense was outstanding. The energy from the team may not be like this every night but if they can play for each other more often, they should not have much of a problem winning games. Yo Washington, we’re doing it.